Brew for Breakfast: I'm not dead and I'm still doodling! I'm not dead and I'm still doodling! We've been doing this thing at work where we pull a prompt out of a cup and get 10 minutes to sketch whatever comes to mind. 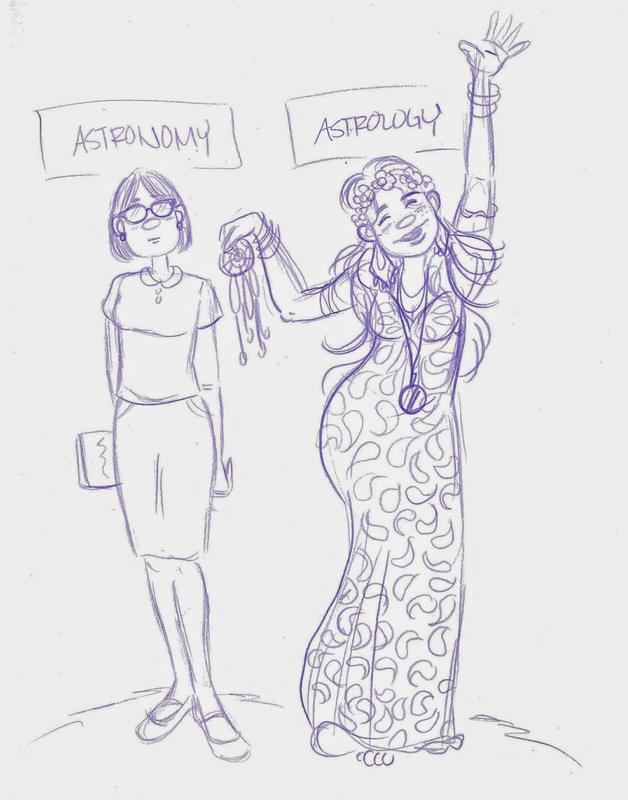 Today's prompt was "Astronomy and Astrology, apparently there's a big difference." Nice to see some action here! Missed it.